Effects of a Ketogenic Diet on Cholesterol: Why You Shouldn’t Worry. We are going to veer away from the original format and talk about something in detail that comes up ALL the time when I talk about the Ketogenic way of eating. Cholesterol. The mere mention of the word makes cardiologists cringe and dollar signs roll across the eyes of statin manufacturers. Diet, exercise and medication are prescribed as a the cure all to preventing heart attacks and strokes. While I don’t assume to offer medical advice and any dietary changes should be discussed with your doctor I DO ascertain that for years you’ve been told the WRONG way to eat. Traditionally the American Heart Association has claimed that a low fat (and by consequence high carbohydrate) diet was the key to decreasing your LDL and raising your HDL. Recently the nation’s top nutrition advisory panel has decided to drop its caution about eating cholesterol-laden food, a move that could undo almost 40 years of government warnings about its consumption. Why? Because the science no longer adds up. They found that dietary cholesterol intake has little to no effect on HDL/LDL levels in patients following a Ketogenic diet. (Source: http://www.ncbi.nlm.nih.gov/pmc/articles/PMC2716748/) Further more a diet high in carbohydrates such as a low fat diet can increase overall triglyceride levels, which in combination with low HDL levels, is an increased risk factor for heart attack or stroke. (Source: https://my.americanheart.org/idc/groups/ahamah-public/@wcm/@sop/@smd/documents/downloadable/ucm_425988.pdf) The simple fact is the Ketogenic way of eating improves your HDL, lowers your LDL and decreases your triglycerides. PS. For more reading about cholesterol I recommend this great book. 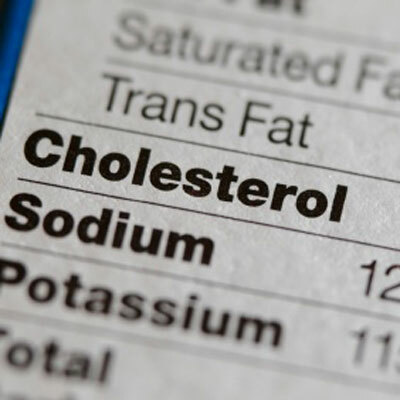 Cholesterol Clarity: What The HDL Is Wrong With My Numbers? . Another good book on the Ketogenic lifestyle is Keto Clarity: Your Definitive Guide to the Benefits of a Low-Carb, High-Fat Diet . Stalled? Add Intermittant Fasting to Keto for a breakthrough! Intermittent fasting is not a form of starvation but a way for you to time your meals to maximize your body’s ability to burn fat. Combining intermittent fasting with ketogenic eating can help break through stalls and peel off stubborn pounds when you’re nearing your weight loss goals!